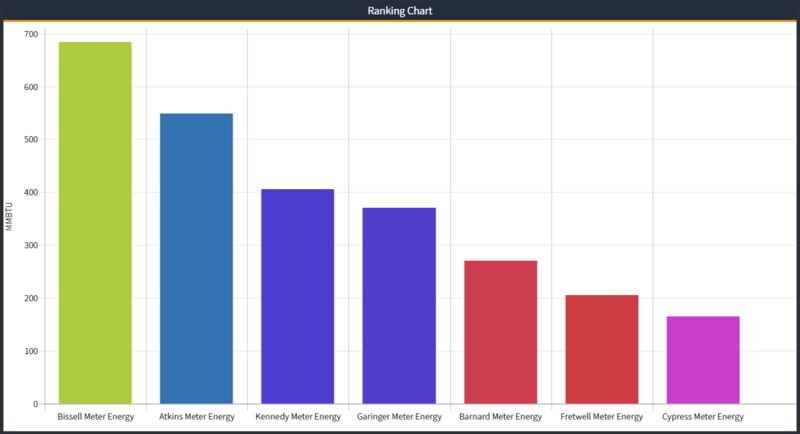 The Ranking Chart enables the user to display comparative values for similar variables, ranked in either increasing or decreasing order. If appropriate, values may be normalized based on certain criteria, such as conditioned area (SF). A great use case for this viewlet could be campus-wide competitions.